Duel Links How to beat/farm Yugi Muto Lvl 40 at the Gate, decks to farm Yugi Muto, and rewards. Yugi Muto Lvl 40 is finally at the Gate! He uses deck which is same to the one he used during the roaming event. Decks on this page were used to farm Yugi Muto during the roaming event. We will introduce more optimized/fast farming decks soon! Union Attack is a very useful card that is often used in farming decks to get a high score. If you don't have any Union Attacks yet, it's recommended that you try to farm at least 2 copies of it to make it easier to farm other LDs. You can use the Kiseitai deck below if you have access to The Winged Dragon of Ra. You can replace Vassal and Union Attacks in any farming deck with Piranha Army and Gift of the Martyr(s) if you have them, but spending gems on old boxes to get them just to get Union Attack is not worth it. You can make an F2P friendly Mythical Beast Cerberus deck by using 1 Cerberus and 19 spell cards against level 30 Yugi to farm. Use Draw Sense: LIGHT skill and bring 2 Abyssal Designator, and Stop Defense. Beast Rising lets you endlessly increase your monster's attack, as long as you have a Beast or Beast-Warrior type monsters. Titan Showdown (skill) is a useful skill that can be used to farm very fast, and works best when you have high attack monsters that you can easily summon like fusion monsters. Last Gamble (skill) is also very good for farming since you can get early card draws, 100 LP left bonus, and comeback victory bonus. This deck credited to ImprfctPulse. Use Restart skill to increase your chance of getting A Legendary Ocean or Warrior of Atlantis, ideally with another monster that you can summon as well. 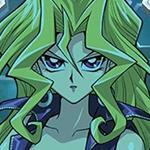 Using the monsters that you summon, keep destroying Yugi's monsters to prevent his flip effect monsters. Once you have Sea Stealth Attack, activate it so that you can banish your monsters when Yugi tries to return your monsters, or to avoid getting destroyed by his Order to Charge. When you have 1 card left in your deck, if Yugi has not yet used his Sphere Kuriboh, use your Abyssal Designator to get rid of it so you can get "Comeback Victory" by declaring DARK and Fiend. If he has already used it then you won't need to use Abyssal so you'll get no damage taken victory bonus. Make sure that you have at least 2 of the high attack water monsters on your field before your last turn so you can reach over 10k damage when you use Gravekeeper's Vassal and double Union Attack. In the first few turns, try to get some draws using Kotetsu if you get it in your starting hand. 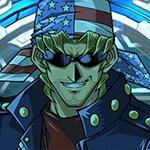 If Yugi gets first turn and sets a monster, then Kotetsu will not work. But you can take a few attacks before summoning Labyrinth so that you have more turns to try and draw for Riryoku Field. Once you have Labyrinth, equip him with Gravity Axe - Grarl to prevent Yugi's flip monster effects. 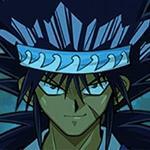 If you already equip your Labyrinth with Gravity Axe, don't set your Kotetsu anymore since Yugi will most likely not attack it, unless he has a face up attack position monster on the field. Yugi only has 2 Order to Charge, so you only ever need to set 2 riryoku field. It's recommended that you set them one at a time so that you don't clog your spell/trap zone. Sometimes Yugi also clogs his own field, preventing him from using his OtC. Use Abyssal Designator 1 turn before your last. This is so you don't force Yugi to throw his Sphere Kuriboh from his deck in case his cards left is lower than yours. It's also so that you get comeback bonus. On the last turn, it's important to keep in mind that you need to use Shield & Sword first before special summoning Anteatereatingant / The Fiend Megacyber, and special summon Fiend Megacyber before Gravekeeper's Vassal (if you use megacyber). Then you will need to switch Labyrinth to attack position before entering battle phase. This deck credited to @yutolinks. Get your LP to 500 or below. Adjust your LP by letting Yugi attack you directly, placing your monsters in attack position to let Yugi attack them, or paying for the effect of Power Injector or Mirror Wall. Use Wall of Disruption, Mirror Wall, or Enemy Controller to save yourself from lethal attacks. 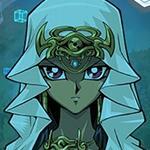 Next you need Breath of Light to clear Yugi's field. Do not summon Cerberus before activating Breath of Light if Yugi has a set spell/trap card, that card might be Order to Charge. After clearing Yugi's field, activate Ojama Overflow to fill his monster zones with Ojama tokens which cannot be tributed. At this point you can stall easy for the rest of the Duel. Summon Mythical Beast Cerberus and another monster while stalling and them keep on the field. Do not attack. What you need for your final turn are: 1 Gravekeeper's Vassal, 2 Union Attack, 1 Exchange, 1 Enemy Controller, and 1 Mythical Beast Cerberus and 1 other monster on the field before your final turn. You can use extra Enemy Controllers you have to power up Mythical Beast Cerberus, do not use Enemy Controller's second effect. On your final turn, summon Gravekeeper's Vassal then use 2 Union attacks on him. Use Enemy Controller to switch an Ojama token to attack position. Use Exchange to take Yugi's Sphere Kuriboh if he has it on hand. Make sure you have nothing important in your own hand when you activate exchange. With you boosted Gravekeeper's Vassal, attack the attack position token to finish the Duel. Before the final turn, you should summon 2 Angel 07 on the field. Thanks! This successfully worked for me! I wanted to farm Union Attack but you need Union Attack to get Union Attack. Whut? 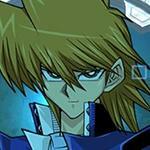 I have a consistent deck to farm Yugi. I still need to run more tests on it and make sure I got the perfect cards to farm him. Only problem is that Defense Draw is a very good card against him but I have 0 of them. Anyways, once I finalize the deck, I will post it here. Wish me good luck. And when i tried it again without special summon, i cleared the mission!!! 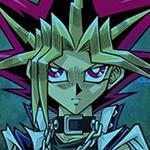 Yugi's cards are built to return yours to the hand. He uses 2 "Order to Charge" cards, usually waiting to remove your Dyna. 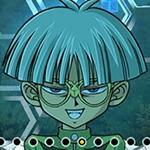 He will use Sphere Kuriboh to block one attack during the duel. Bait it out with a Dyna direct attack before you use Ra. 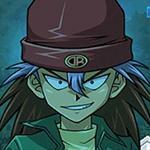 If you keep Dyna on the board you can destroy all of the monsters he sets in defense. 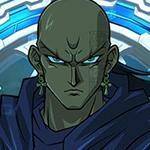 He will only tribute a monster when he sets his Guardian Sphynx card. Destroy this card at all costs. If he protects a face down monster successfully he will usually use a flip effect afterwards to return your monsters to your hand. Stall with Wiz and Dyna; save Wiz negates for his "A Feint Plan"
Bait Kuriboh > Get Wiz, Dyna, (2500 ATK Monster) on the board > Clear his front row > Arrivalrivals into Ra > Use Marik's skill. 11k+ Direct damage. 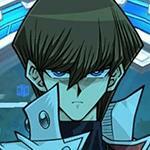 you need to farm Yugi Muto to get UA. To do that, you need 2x UA in your farming deck. I get it. Did you not read? If you don't have UA,replace Vassal & UA wit Piranha Army + Martyr. Dat's it. What can I use to replace the massivemorphs in the Ra one? These really need to get updated. All of the ones that don’t require a skill are all banned now. Fusion Gate is better than Polymerization. "Red-Eyes Slash Dragon" and "Buster Blader, the Dragon Destroyer Swordsman" is better than "Twin-Headed Thunder Dragon"
Use Restart skill if you don't get any trap master. When the trap master on the field was returned the hand, you can activate the other trap master in battle phase. You can use Swamp Mirrorer or Tiki Curse to induce Muto activating Order to Charge. 1. Muto don't have any Order to Charge. 2. Muto don't have any Normal moster on monster zone. 3. 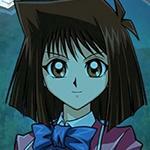 You have enough Riryoku Field can protect Angel 07 form Order to Charge. You can summon Angel 07. Destroy one of the Magnet Warrior for fear of Valkyrion the Magna Warrior. Before the final turn, you should summon one Angel 07 on the field. Make sure he burns Sphere Kuriboh before attacking with Ra, otherwise I summon Ra one turn before I want to attack with him, wait and draw my last card with Divine Providence set and one monster card in hand, then attack and use Anti Magic Arrows. Thanks for your help... why you use TTTD? In case I have to summon ra early due to him not burning sphere kuriboh, then I can clear any monsters he summons for a direct attack.